Are your sales pitches engaging and interesting to your audience? Could you benefit from receiving assistance for your multimedia projects, but are unsure if you can afford it? Are you unsure how to manage multimedia services projects? Do you confidently understand how to determine the requirements of your multimedia project? No matter what value your services offer or how well your products solve a need, if buyers don’t find you interesting, they just won’t buy. Multimedia is a broad term that encompasses any type of visual or auditory effects presented to an audience. This can range from finding the perfect photos for a presentation, to complex, large scale productions delivered to hundreds of people. As a small business owner or manager, you may not have the resources needed to include multimedia in your sales materials. You may not know enough about the basics to understand what your options are or how to engage a multimedia expert. “Need Multimedia Services? Outsource That” helps small business owners and managers who are interested in learning more about outsourcing multimedia services. In addition to providing practical advice and tips, this book details how to find the right provider for your project. Discover the basic terminology you need when hiring a multimedia provider. Learn how to maximize use of multimedia applications to improve brand recognition (and sales). Identify the perfect provider for your specific multimedia project. Accurately assess a freelancer’s experience, skills and technology equipment. Understand practical project management guidelines to ensure your projects are completed on time, and within budget. Review popular multimedia file types and the software used to create them. 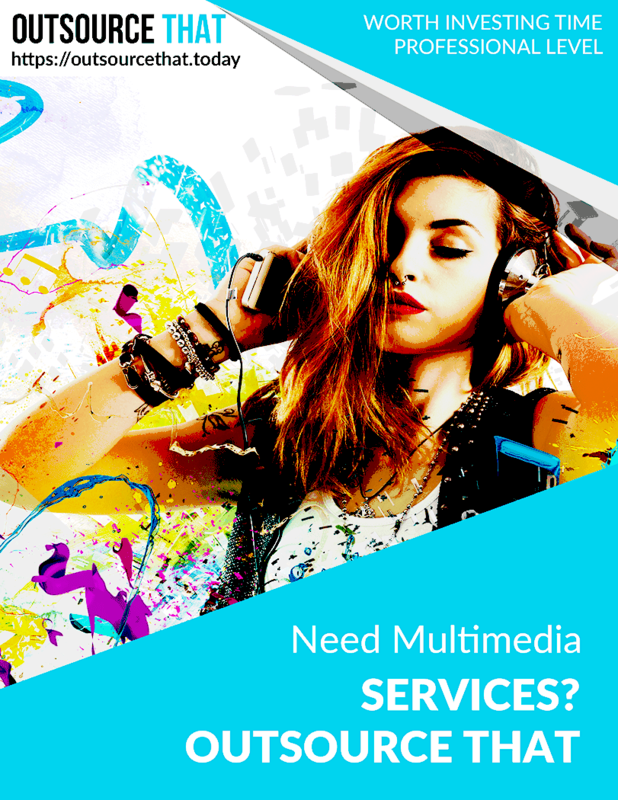 “Need Multimedia Services? Outsource That” is part of the Outsource That series, a resource for small business owners and managers who are ready to make the most of outsourcing but don’t know how. Having the information you need is the first step in understanding how online outsourcing can benefit you and your business. Regardless of whether new to this concept, stay one step ahead of your competition and purchase your copy of “Need Multimedia Services? Outsource That” today.